Sisters Agnes Mueller, Barbara Ann Muttra, Kathleen McGuire and cousins Mary Joel Kolmer and Shirley Kolmer died during the civil war in Liberia. Sisters Barbara Ann and Mary Joel accompanied the convent watchman to check on the safety of his family because there was fighting in the vicinity. They picked up two ECOMOG soldiers along the way and all were killed when their car was ambushed on October 20. Those familiar with the situation believe their deaths were unintentional – the killers thought there were different people in the automobile. However, the deaths of the other three on October 23 are described as an intentional and brutal murder, shot by soldiers at their convent gates in Gardnersville. The father of a family that had taken refuge in the convent was also killed. The presence of the first two Adorers in Liberia began in January 1971 in the village of Grand Cess, Diocese of Cape Palmas. Two others joined them before the end of the year. The Sisters began the work of basic healthcare and education. A K-9 Catholic school continues to offer a strong education to students in Grand Cess. The second village of service was Gardnersville with two additional Adorers arriving there in September 1973. Again, health care and education were the primary ministries. But, in the spirit of their foundress, St. Maria De Mattias, the Sisters began to host retreats for women and a weekly prayer group. Bible study was added. An Associate program for lay women was introduced in 1984 and continues to flourish despite the absence of a permanent community of Adorers over the last 25 years. Sister Raphael Ann Drone ASC, an early missionary, has returned to Liberia as a volunteer on two different occasions. She returned to the United States when the Ebola epidemic began. In addition to their education and health care ministries, the Adorers were known for their ministry of hospitality. Seminarians, now priests, recall praying and enjoy a meal and conversation with the Sisters at their home. Liberian laity who knew the Sisters talk about their visits with the Sisters in their convent. Missionaries and other visitors were welcomed, especially when they were in Monrovia. Food, clothing and shelter were also shared with many persons. When Samuel Doe was murdered in December 1989, civil unrest evolved into war. The volatile situation caused the Sisters to return to Ruma, Illinois in 1990 summer. But their hearts were with the people of Liberia and it seemed that stability was returning to the country via a cease-fire. 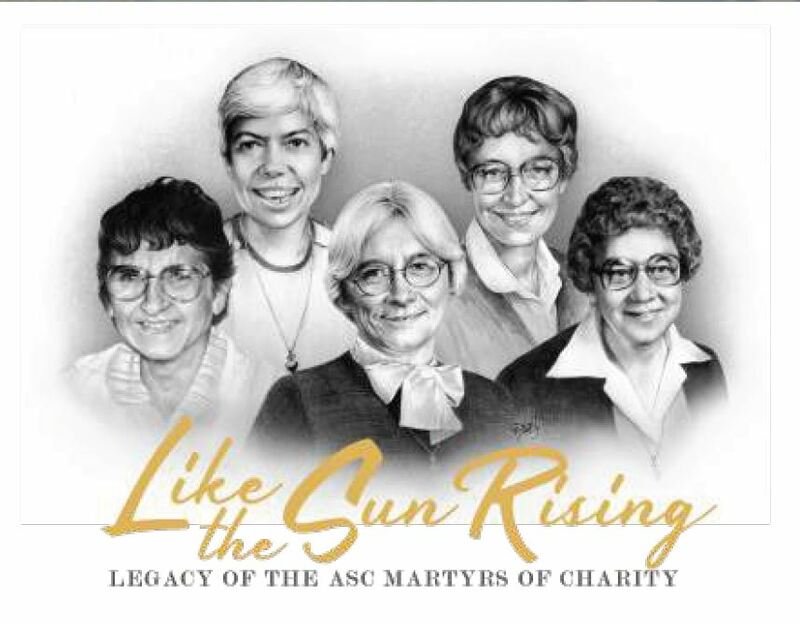 After an assessment visit, five ASCs left in July of 1991, four veteran missionaries and a newcomer, Sister Kathleen McGuire. A new ministry, healing-transformation workshops, was begun. Sister Barbara Ann made numerous 19-mile trips to Klay, an area being held by the forces of Charles Taylor, the leader of the rebel movement. She and the driver endured hostility and hassles at most of the 15 checkpoints along the road from Gardnersville to Klay as she took Catholic Relief Services supplies for refugees in that area. ASC hospitality continued throughout this time. The Los Angeles Times reported that, on October 19 and 20, 1992, thousands of refugees plodded past the Gardnersville convent fleeing the war. The Sisters carried and gave water to these thirsty people as they passed the convent. They took in a Lebanese shopkeeper and his family fleeing the violence near their home.